Which Laundry Detergent Works Best for a Science Fair Project? Chemists spend countless hours developing detergents that remove soil effectively. Comparing and contrasting detergents in a science fair project will determine which is the best to use for different applications. Several factors can be explored such as types of soil, types of detergents, and types of cloth. Furthermore, you can explore which detergents work best at different concentration levels. By experimenting on a variety of factors you can report which detergents work best. Test different brands on how effective they are in removing old motor oil. You must design the test to be the same for each brand. Take several 1-inch by 3-inch strips of cotton cloth and place a drop of used motor oil on each strip. Soak each strip in a different brand of laundry detergent overnight and then rinse. Allow the strips to air dry and display the strips side by side. By doing this you can demonstrate which detergent worked the best at removing just one type of soil. Test different detergents on different soils. Soak cloth test strips in clay, chocolate, water based paint and dirt. Soak the strips in different detergents overnight and rinse. Lay the strips out side by side and determine which detergent was most effective at removing each stain. For example science fair participant Taylor A. Moreland ran a similar experiment in 2003. He discovered that Cheer detergent worked best on mustard stains, but Tide detergent worked best on mud, grass and ketchup. Another experiment to do is testing different concentrations of detergents, to determine which is best at a specific concentration. Dissolve 1 tsp of detergent in 1/2 cup of water. Dissolve the same amount in 1 cup of water, and 1 quart of water, respectively. Test wash cloth strips with one drop of old motor oil in each concentration and determine at what concentration it stops working effectively. Repeat this experiment with several different brands of detergent and find out the best concentrations for each. 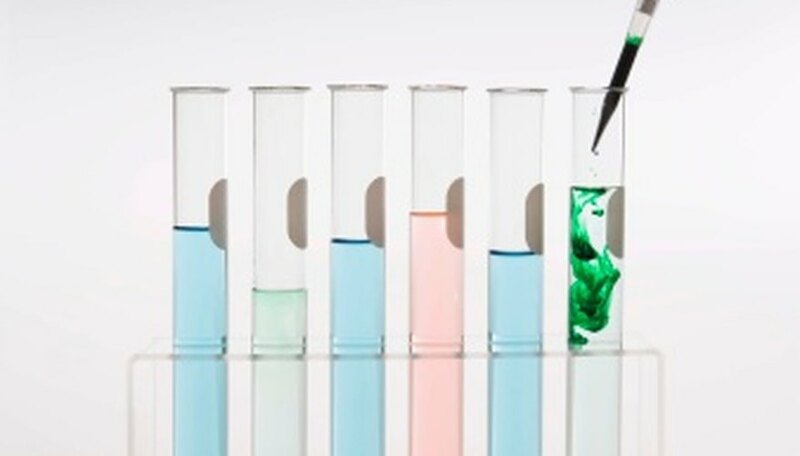 This experiment will demonstrate what is the best brand for each concentration level. Obtain cloth strips made of different materials, such as cotton cloth, polyester cloth, nylon cloth and different cloth blends. Place one drop of oil, mustard, and water based paint on each strip.Test different detergents on the materials, and discover which works best on what type of cloth. Display the different cloths side by side, and write a presentation on your findings. You can perform other experiments as well. For example, you can compare and contrast brand names with in-store private labeled brands, such as Tide versus Wal-Mart. Run all the aforementioned experiments with brand name versus store brands. By doing so, you can find out if the store brands are as good as brand names. Remember to follow the first rule of experimentation, which is being unbiased. For every brand tested, you must test another brand with similar cloths, concentrations and soils. Oldhand, Tony. "Which Laundry Detergent Works Best for a Science Fair Project?" Sciencing, https://sciencing.com/laundry-works-science-fair-project-7949441.html. 25 April 2017.